In 1937 the Aldington brothers were importing the 2-litre 6-cylinder Type 328 BMW sports car through their firm AFN Ltd. and they marketed it as the Frazer Nash-BMW. From the way the factory can had performed in the 1936 Tourist Trophy race in Northern Ireland the 328 BMW was an impressive car and in order to launch it on the British market AFN Ltd. had the brilliant idea of making an RAC observed run at Brooklands. 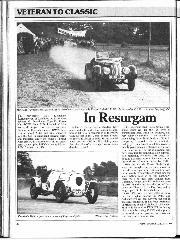 They got S. C. H. Davis, the sports editor of the Autocar, to drive the car, and from a standing-start he covered 102.22 miles in one hour round the banked track in Surrey. 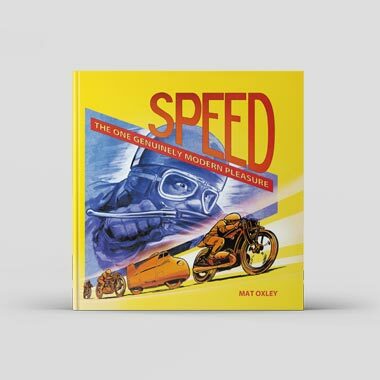 The car was the ex-works car that H. J. Aldington had driven to ninth place in the 1936 TT and while it was not strictly standard, inasmuch as it was one of the prototype cars, it was running with full road equipment and was using normal pump petrol. At the end of that year Lagonda did a similar run with 4-1/2-litre works TT car, with full road equipment and carrying a passenger, and it put 104.44 miles into the hour. 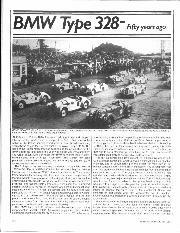 While there was no officially recognised record for this "sports car hour", numerous people had a go at it and Mrs. Jill Thomas covered 101 miles in the hour in her standard production Type 328 Frazer Nash-BMW, while H. J. Aldington did 107.10 miles in the hour in his ex-works car, during an MCC High Speed Trial at Brooklands in 1938. 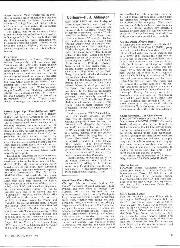 At the same meeting G. A. Wooding covered 103.22 miles in the hour in his Talbot 105 and Lionel Phillips did 106.71 miles in the hour in his old Leyland Eight, while F. E. Elgood did 110.30 miles in the hour in his vintage 4-1/2-litre Bentley. After the war there was nowhere suitable for such observed runs, and the nearest thing was timed runs over short distances on Belgian motor roads. Last November Porsche recalled the days of the "sports car hour" runs by running a 928S in full production trim, round the 7.9-mile Fiat test-track at Nardo in Southern Italy. 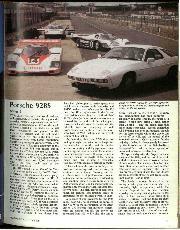 In typical Porsche fashion the Stuttgart firm didn't mess about. 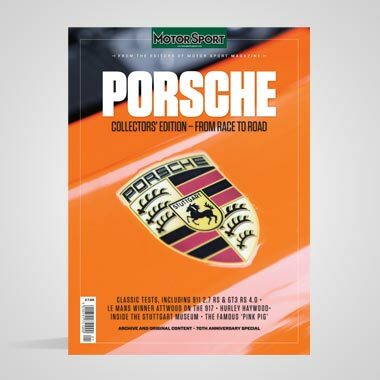 They ran the 928S for 24 hours at an overall average of 156.22 miles per hour, including stops for petrol and driver changes, and one stop to change the rear tyres. 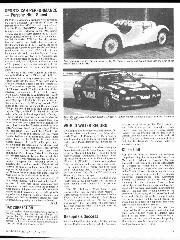 Three drivers took turns at the wheel, and they were Englishman Peter Lovett, Swiss Peter Zbinden and Austrian Gerhard Plattner. The car held 165 m.p.h. while it was running, in order to allow for slowing, stopping and restarting every 48 minutes, when petrol was needed. 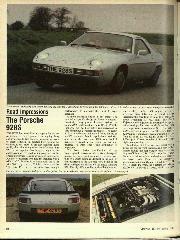 If the 928S had covered 156 miles in one hour it would have been impressive, but to cover 156 miles in every hour for 24 hours leaves us filled with admiration for what must surely be the car of the 1980s. 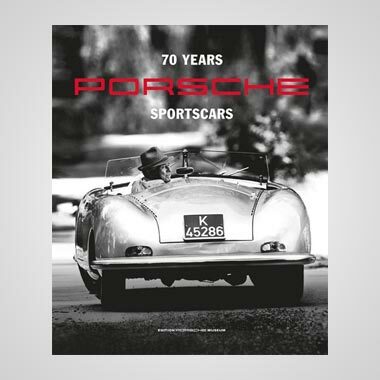 While this run does not constitute any sort of International Record, and it was done by Porsche as part of their high speed endurance test programme, it does throw down the gauntlet to other makers of high-speed cars. We wait with interest to see if Ferrari take up the challenge with a production Berlinetta Boxer or Lamborghini substantiate their exaggerated claims for their Countach by improving on the Porsche figures. BMW type 328 - Fifty years ago.